Republican gubernatorial candidate Brian Kemp says he is resigning as Georgia's secretary of state. Attorney Russ Willard with the state attorney general's office announced the resignation in federal court Thursday morning. The hearing before Judge Billy Ray of the U.S. District Court for the Northern District of Georgia concerns a suit brought by five voters late Tuesday afternoon asking for Kemp to be blocked from involvement in presiding over an election in which he is a participant. 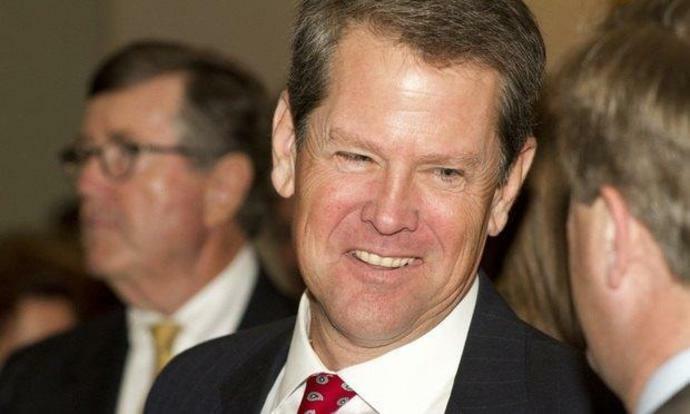 The suit cited Kemp's decision to open an investigation of the state Democratic Party based on what it calls an unfounded accusation and post notice of the allegation on his official state website while promoting it via his political campaign as a reason a temporary restraining order was needed. "Allowing one of the candidates to not just preside over their own election but misuse their office to give them an unfair advantage is just anti-democratic and unlawful," Atlanta attorney Bryan Sells, who represents the plaintiffs, said Tuesday. Kemp's spokeswoman at the Secretary of State's office said Tuesday, "This twelfth-hour stunt will not distract us from fulfilling our responsibilities and working with county officials to ensure a secure, accessible, and fair election for all eligible Georgians." "The Secretary of State's office does not count votes; counties do," Broce said. "The Secretary of State's office does not re-count votes; counties do." The Daily Report added staff reporting to this article. Mainstream media won't accept Mueller report vindicates Trump?